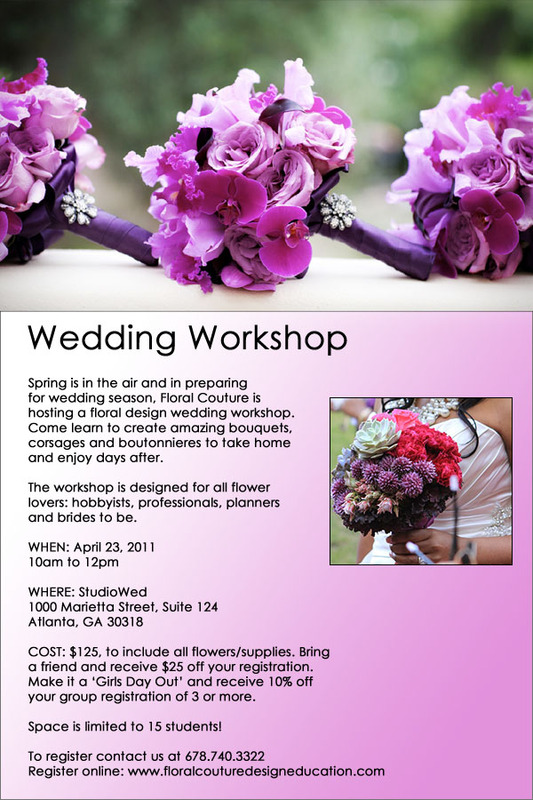 Toni McDaniel, the creative brain behind Floral Couture is hosting a Floral Design Wedding Workshop on Saturday, April 23, 2011 at StudioWed Atlanta. She is one of Atlanta’s best floral designers and we love her work. If you’re interested in learning more about floral and decor, being creative with your wedding and DIY (Do It Yourself) projects, this workshop is for you! To register, visit www.floralcouturedesigneducation.com.